Apple bought Shazam for $US400 million, which makes it one of the company’s largest acquisitions in years. Shazam makes the most sense inside Apple’s music division, which falls under SVP Eddy Cue. Apple is unlikely to be interested in Shazam’s advertising business. Apple has yet to reveal its plans for Shazam, the popular music recognition app it acquired for $US400 million on Monday. And given the iPhone maker’s penchant for secrecy, chances are good that it will be some time before we learn anything about Shazam’s future under Apple – if we ever do at all. 2. This deal is all about Apple Music and data. If the addition of Shazam works the way Apple hopes, the deal will round-out the arsenal that supports its fledgling music streaming service. And with the competition and the stakes in the streaming business growing, the deal is an admission by Apple that it needs to make bold new bets to assure its place in a post-music-download world. Just as the $US3 billion Beats acquisition in 2014 provided the foundation for Apple Music, the purchase of Shazam could help Apple take its streaming product to the next level. 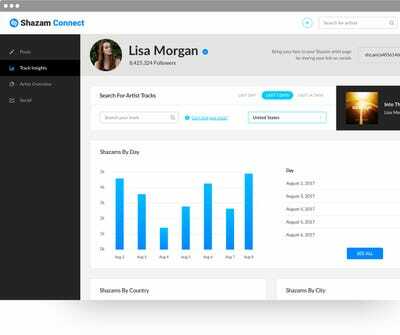 Since launching a music-recognition app in 2009, Shazam’s product has evolved considerably. Shazam now offers advertising features and augmented reality capabilities with ecommerce potential. That “fit,” isn’t the simple addition of music recognition capabilities (though that will be a nice new feature Apple will be able to bring to its iPhones). It’s the music data that Apple gets from owning an app with hundreds of millions of users across different platforms and countries. 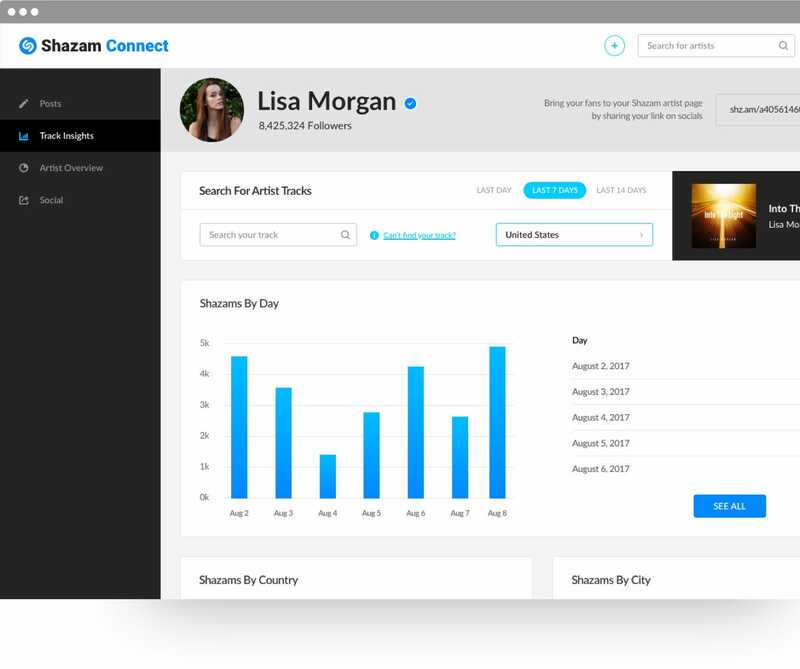 One of the most underrated aspects of Shazam’s business, according to an investor, is that Shazam offers an analytic control center – a “dashboard” – for music industry professionals. Record labels and executives have learned to rely on it to discover songs that are starting to get popular. When someone identifies what a song is through Shazam, that’s a pretty strong signal that it’s catchy, or distinctive. 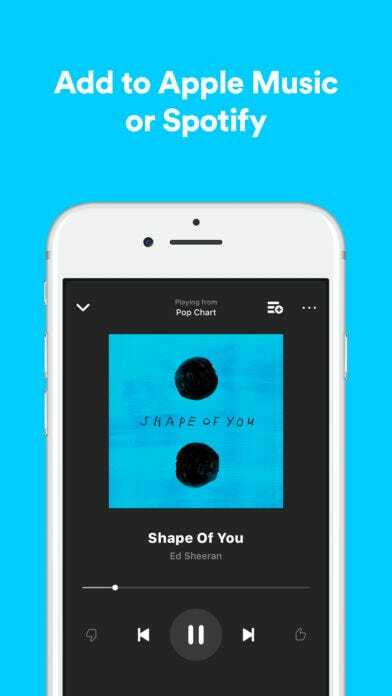 “Our data has shown that we can typically predict 33 days in advance what’s going to be at the top of the Billboard Hot 100,” a Shazam executive said in 2014. Although Apple has access to a lot of similar data from its Apple Music service, Shazam is globally available, and, as Apple pointed out in its statement, is widely downloaded on non-Apple platforms. That gives Apple Music unique insight into the songs, artists and other trends that are about quietly gaining momentum and about to break out. Think of it as an early warning system for hit songs. Apple already has strong human music curation assets, thanks to the DJs at its Beats One online radio station and the handpicked playlists on Apple Music. By mixing in Shazam’s data, Apple will have a chance to dominate the cultural conversation in a way that competitors like Spotify and Google may struggle to match. Another valuable data point that Apple will be able to see now is which Shazam-ed songs lead to an Apple Music subscription – or even possibly Spotify subscriptions. Of course, the value of all that data comes from the fact that Shazam is a hugely popular app that’s been downloaded more than 1 billion times, and is used by both Android and Apple users. For that reason, it’s highly unlikely that Apple will discontinue the standalone Shazam app. Sure, there’s plenty of ways Apple can integrate Shazam directly into the iPhone itself. Google recently incorporated similar music-recognition technology into its high-end Pixel 2 smartphone. Google’s version of the technology constantly monitors nearby music from the phone’s lock screen, displaying each song title on the phone’s screen – a handy feature that Apple would be silly not to emulate. But Apple would also be silly to kill the standalone Shazam app for Android phones. Apple is also getting a piece of a reality show as part of its purchase: “Beat Shazam,” which stars Jamie Foxx and received as many as 2.4 million viewers for its most recent episode aired in late summer during the critical 8 p.m. prime time slot at Fox. 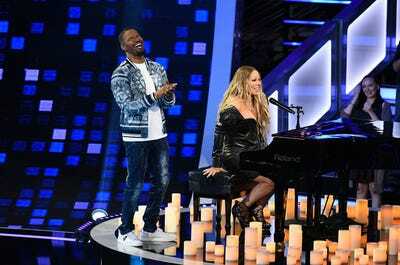 Season 2 of “Beat Shazam” began production this month in Los Angeles, and Foxx is hosting again. It’s expected to air next year. The concept is simple: Contestants try to beat Shazam’s algorithm before it can name a tune. And it fits very neatly into Apple Music’s strategy of making video content about music. Apple Music recently has started to produce music-related TV shows to help boost subscribers to Apple Music. But the two shows it has aired so far – “Carpool Karaoke,” an adaptation of the James Corden-hosted late night segment, and “Planet of the Apps,” a reality show about apps – have received decidedly mixed reviews. Of course, “Beat Shazam” is a Mark Burnett-produced show, and it’s not wholly owned by Shazam, so it’s not like Apple bought the rights to stream it on its platform without some negotiations. But it would be surprising if Apple didn’t do a little bit of cross-promotion with its new TV property. One part of Shazam that Apple’s unlikely to be interested in is what brought the company to profitability in recent years: advertising. Shazam CEO Rich Riley told Business Insider earlier this year that the company had pivoted away from selling songs and toward advertising as its main source of sales, which helped the company achieve profitability. He also said that the company made sense an acquisition target for a big company looking for a foothold in music or advertising. But Apple’s not looking for a foothold in advertising. Unlike its Silicon Valley neighbours like Google and Facebook, it sells almost no ads, except for a few App Store search placements. Apple CEO Tim Cook frequently suggests that Apple’s lack of advertising business separates it from other tech giants. So it’s hard to imagine that Apple would continue to strike deals with companies like Sauza Tequila or Pepsi to offer deals or unskippable takeover ads inside the Shazam app. Shazam booked $US50 million in revenue last year, according to an investor, which is basically a rounding error to Apple. It’s also unlikely that Apple is interesting in Shazam’s augmented reality products, despite Cupertino’s demonstrated interest in the field. 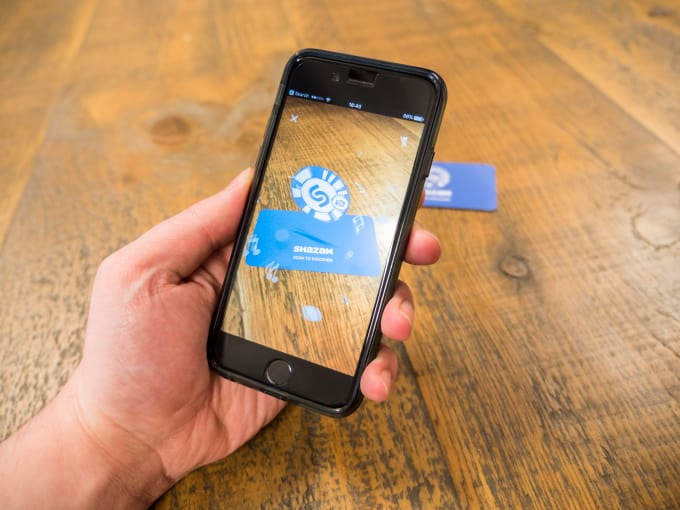 Shazam’s AR product was largely based on technology from a company called Zappar, and was based around “Shazam Codes,” or a QR-code like marker. Apple’s AR division already has hundreds of employees and its own home-grown technology, such as ARkit and the ability to natively scan QR codes. It’s hard to see Shazam’s technology playing a big part in Apple’s AR push.